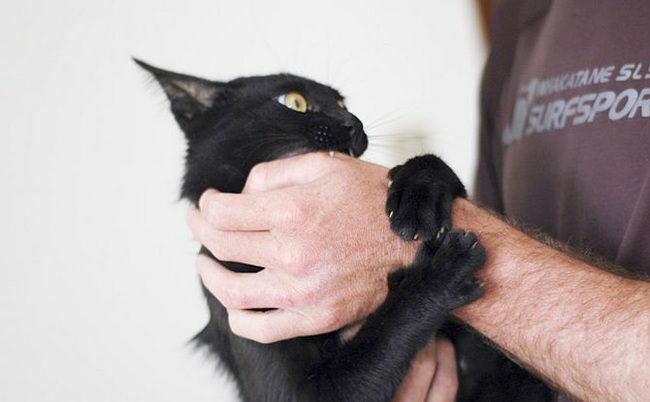 Things You Do That Your Cat Really Hates! Owning a cat can be one of the most joyous things you ever do. Contrary to popular belief, cat’s are incredibly loving and doting animals. If you take care of them and treat them well, they’ll be as devoted to you as any dog would be. However, there are plenty of things that you can do with a dog, or any other animal, that you can’t do with a cat. Cats have different types of boundaries than other animals, and it’s a good idea to learn what those are. There are certain things that most people do that cat’s absolutely can’t stand. Cats often roll over and show their stomachs as a display of trust. Like most animals, their stomachs are a vulnerable spot that they’ll want to keep protected from bigger animals. If your cat is flipping over to show you their stomach, it means that they feel totally comfortable in your presence, and don’t mind stretching out into a comfortable position to sleep. It does NOT mean you’re invited to rub their stomach! Some cats may be relaxed enough to let you, but trying to touch an unsuspecting cat’s tummy will probably result in a swift claw to the hand. Photoshop Or Not – Can You Guess? Who doesn’t love brain twisters or illusions? We’ve curated some photos to play a guessing game of “Photoshop or not?” Check it out below. 1….